The Codan Envoy™ series radios are the most intuitive, reliable and advanced radios we've ever built. Envoy™ delivers dependable, clear and trouble-free voice and data communications in challenging environments, without dependance on existing infrastructure. It's the new smart radio from Codan. With software-defined architecture, ethernet and USB connectivity, a large high-resolution colour display, and multi-lingual user interface it's easy to see why Envoy™ is the future of HF radio. A true digital radio, Envoy™ offers scalable solutions for mobile, deployed and base station requirements. 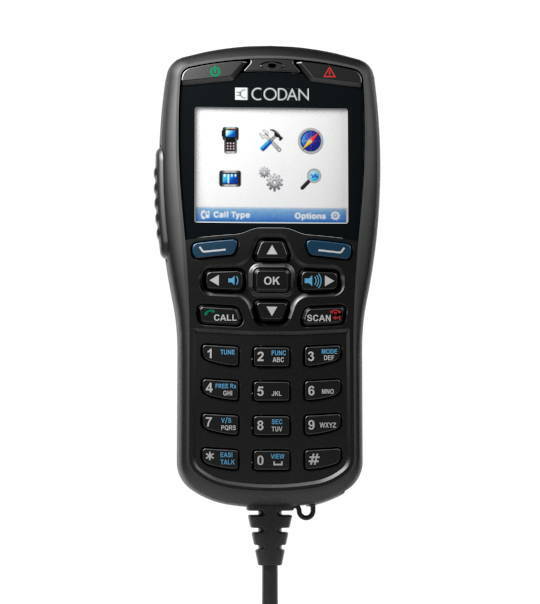 The Codan Envoy™ is now the most advanced commercial HF radio in the world and sets a new standard for HF radio.